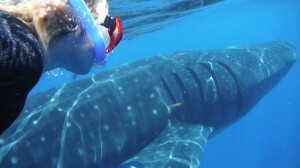 Must do tour in Cancun and Riviera Maya, swim with the bigest shark in the world! Private Whale Shark Tour Cancun Isla Mujeres, ideal for travelers who look for personalized attention. Every year from June 1st to September 15th. During July & August almost 200 sharks spotted daily. However, the numbers of sharks mentioned above is an approximation. Close to half day, between 5 to 6 hours. But weather conditions and boat search could require more or less time. 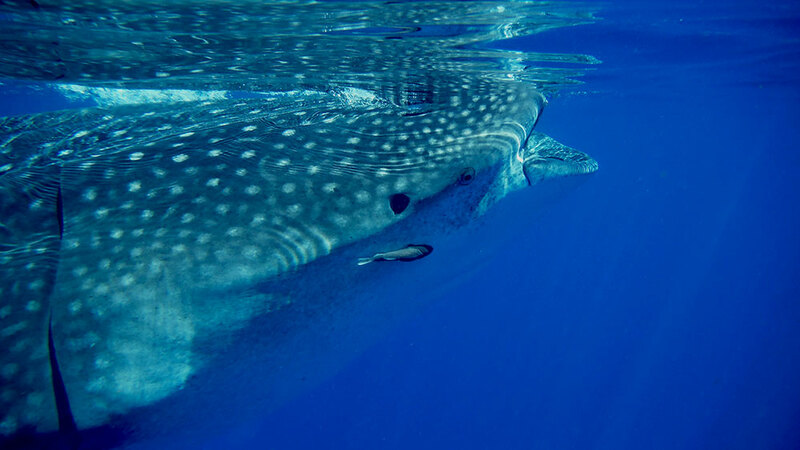 Why is better a private whale shark tour? Certainly, The flexibility of itinerary. You can decide to spend more or less time on any activities of the tour itinerary. Faster land transportation from the hotel to the marina. Quick access to marina direct to the boat. 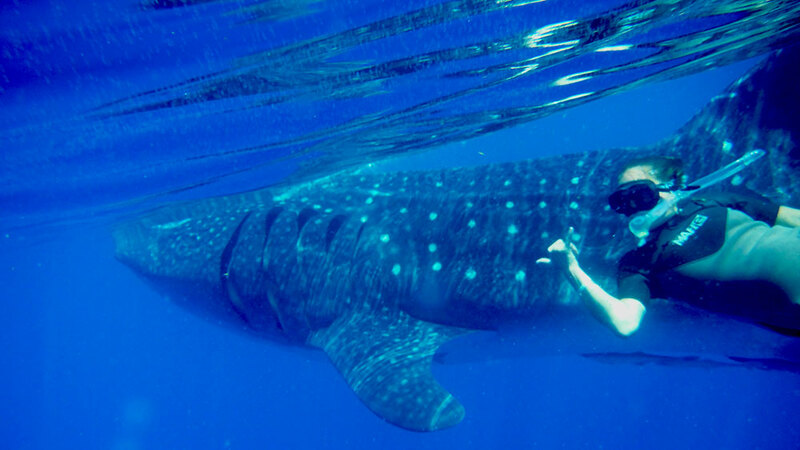 Reach whale sharks area before other tour companies. 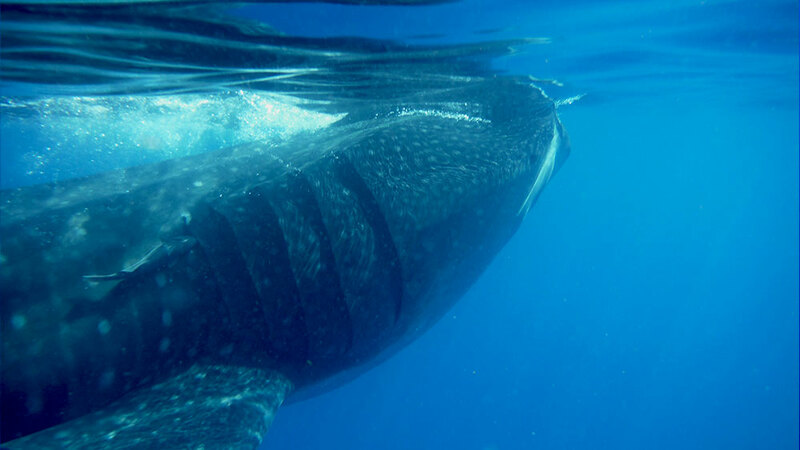 Swim with whale sharks more than 2 times during tour. Personal guide expert in nature assisting you during all tour. You don't spend time waiting for other travelers. No line for waiting to swim with the sharks. 6:00 hrs Suggested hotel pickup. 8:30 hrs Arrival to Marina at Puerto Juarez. 9:00 hrs Jump in the boat to start the search. 10:00 hrs Snorkel with The Whale Sharks. 12:00 hrs Transfer to Playa Norte beach at Isla Mujeres. 1:30 hrs Transfer back to Marina. 2:30 hrs Transfer back to the hotel. Arrival to hotel depends on your hotel location. Not looking for prived service? therefore, economy shared service click here. Hotel to Marina round trip. Snorkel gear( mask, life jacket, and fins). Express breakfast at Marina(Coffe, breath & fruits). Snacks(chicken sandwiches, peanuts & granola bars). Lunch(Chicken sandwiches and fresh fish ceviche). Beverages( soft drinks, sodas & water). Apply sunscreen 30 minutes before snorkel activity. use your water proof camera. For more comfort during snorkel use wetsuit. Wear sunglasses, hat and cotton long sleeve shirt. That is to say, by regulation, you must wear a lifejacket(or wetsuit) during all the boat tour. No childrens under 5 years old. Rent waterproof camera $40 USD. Rent a wetsuit $20 USD. Bring cash certainly there are no available ATM at The Marina. Why should you book this tour? Check this video now! Swimming with the whale sharks is a safe activity in Cancun and The Riviera Maya? Yes, all boats have Monitoring and Security Systems verified and certified by the Harbor Master before the summer season starts, in order to get the 2019 permissions. 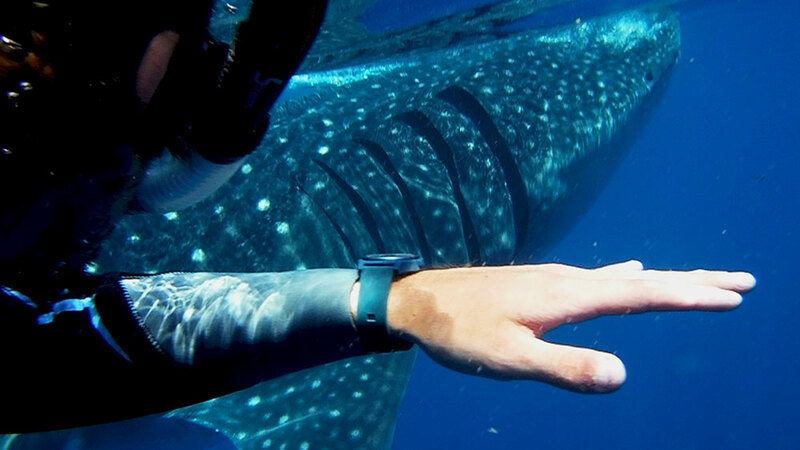 Our staff and guides have more than 6 years of experience guiding in the area. All our land and boat transportation has the permissions and liability insurance coverage. Firstly, more than 7 years of experience in this tour. Secondly, we god The TripAdvisor Certificated of Excellence 2018. Most importantly, the best-personalized service guaranteed. In conclusion, don’t miss this unique experience of swimming with the biggest fish of The Wolrd. Price per Group from 1 to 10 pax acording to hotel location. Ideal for small groups or families.